Christmas is over and we are now geared up to say good bye to 2014 and welcome to 2015. 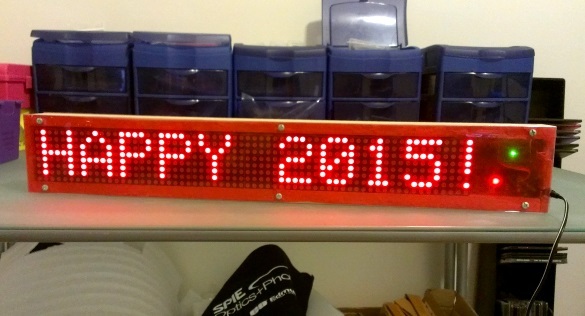 Embedded Lab would like to wish all of our readers, supporters, and contributors a very happy and prosperous new year. May 2015 bring you all the great things in your life. And here is the last discount coupon for this year. The discount offer starts now and will run until Jan 1st, 2015. Applicable to all serial seven segment LED displays, Easy Pulse sensor, and cascadable LED matrix displays. 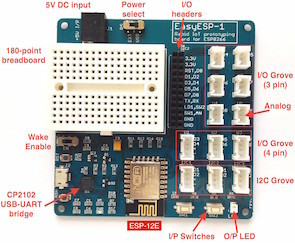 If you are not familiar with latest Easy Matrix displays, check out this cool Bluetooth controlled scrolling LED matrix display project using these modules.